After a tragedy or death, the flag is flown at half staff for 30 days. It’s called “half staff” on land ,and “half mast” on a ship. When flown vertically on a pole, the stars and blue field , or “union”, is at the top and at the end of the pole (away from your house). Never let your flag touch the ground, never…period. Fold your flag when storing. Don’t just stuff it in a drawer or box. 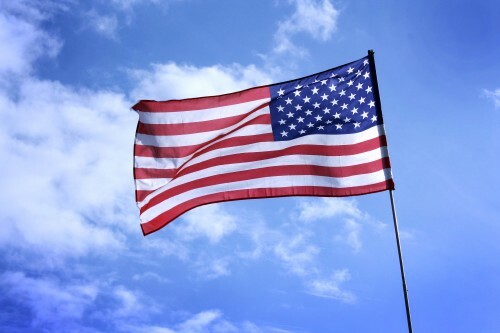 As a symbol of our nation’s unity and independence, Flag Day is an important holiday for Americans to honor the adoption of the American flag and its makers. Raise your flag and commemorate this important day!